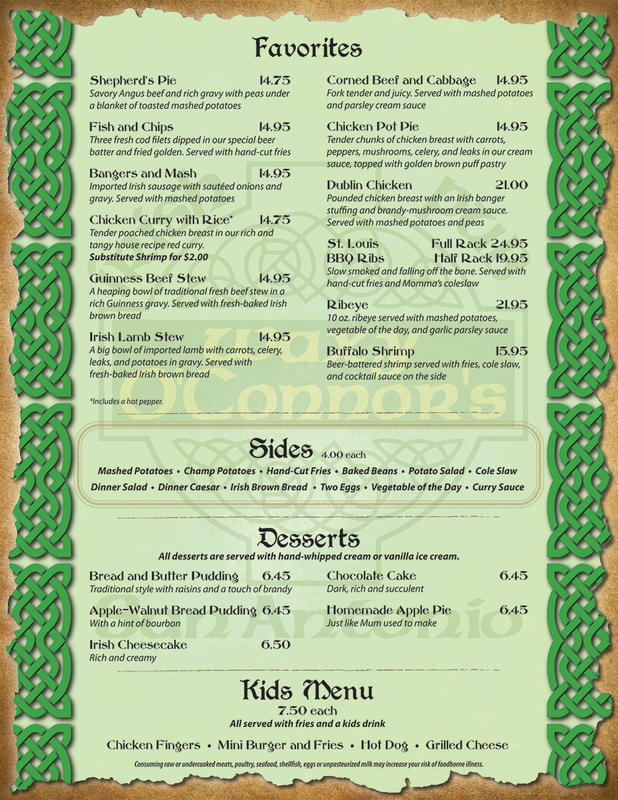 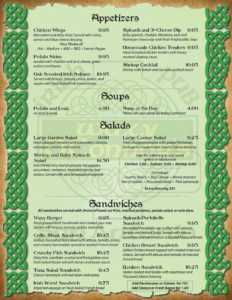 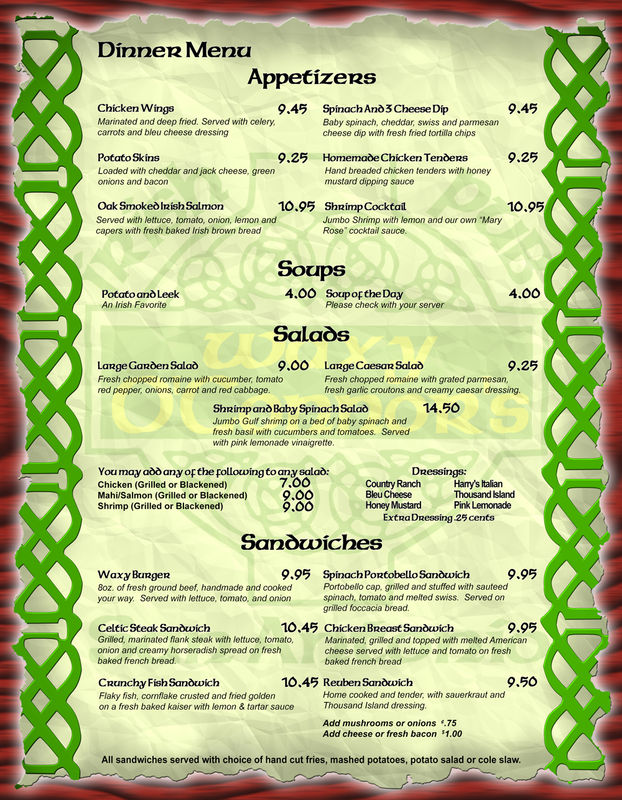 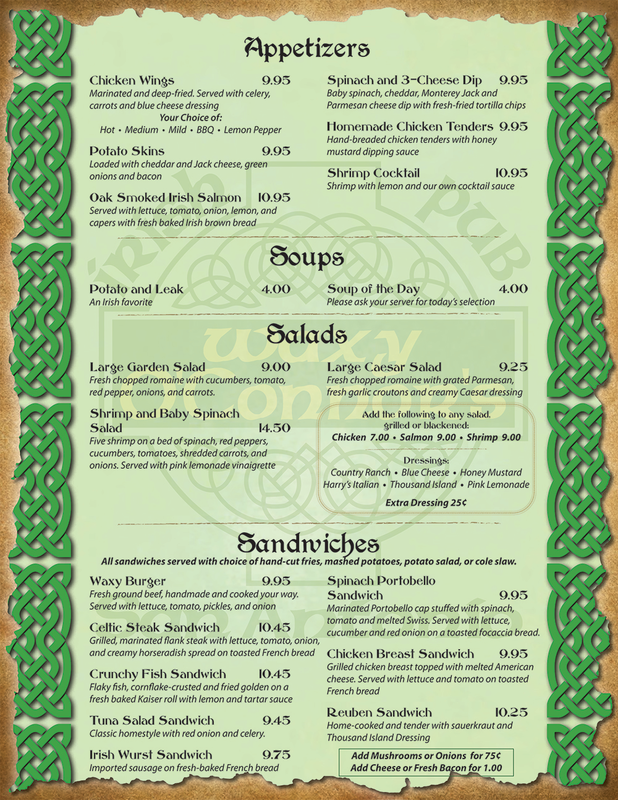 Page 1 of our dinner menu has appetizers, soups, salads and our delicious sandwiches. 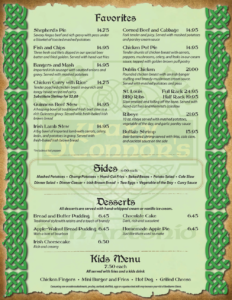 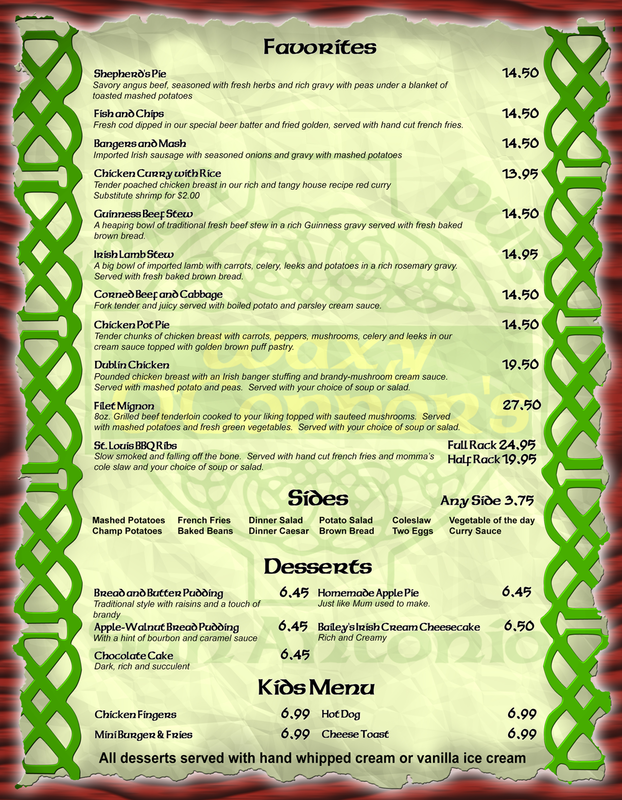 Page 2 of our menu shows Waxy's favourites, side dishes, desserts and our kids menu. 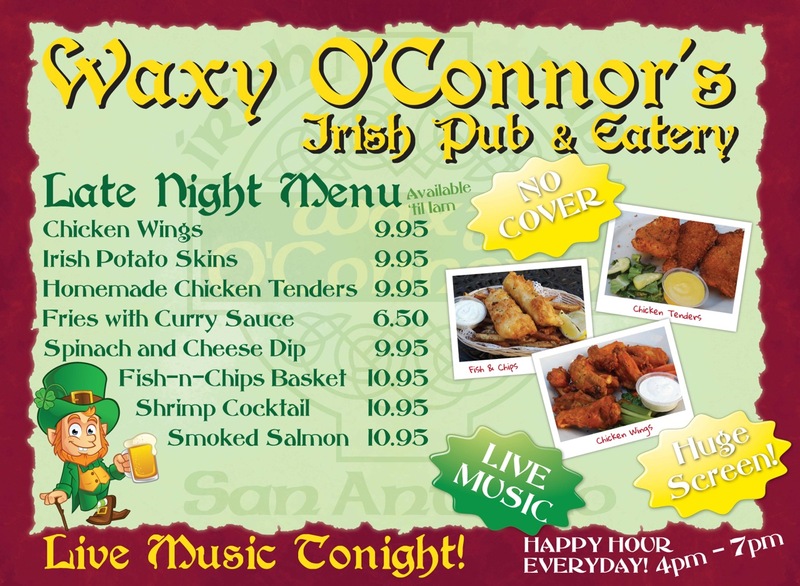 The late night menu has our signature appetizers available until 1am. 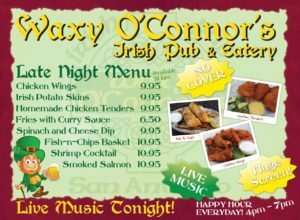 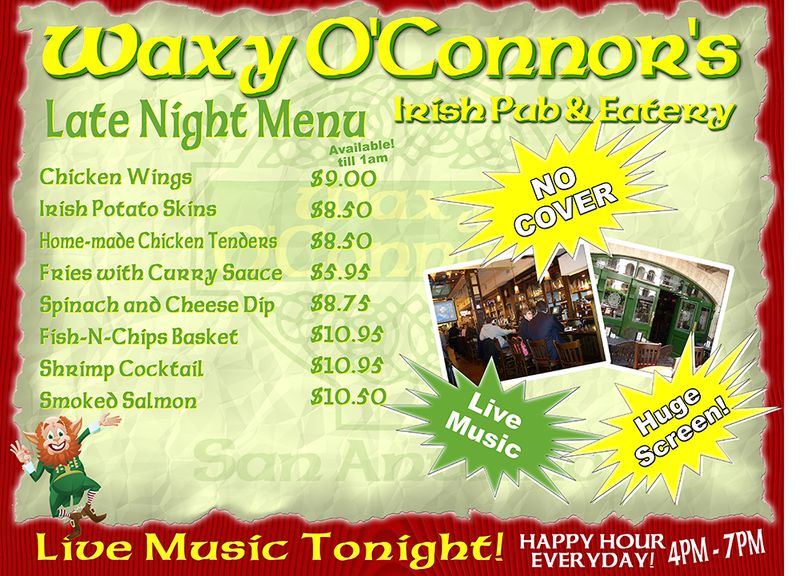 Waxy O'Connors has Live CD's, T-Shirts, Koosies, Shot Glasses and more.